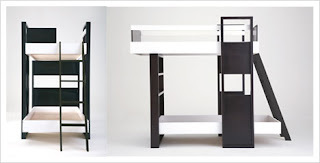 superdumb supervillain: Coolest bunk bed, ever! Coochicoos posted this yesterday. I am so totally in love with the offset bunks. 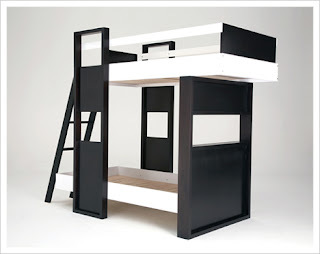 If Argington could make this with a king-sized bottom bunk, I would have it in the master bedroom in a second.